After all that sound and fury, the results might seem disappointing. 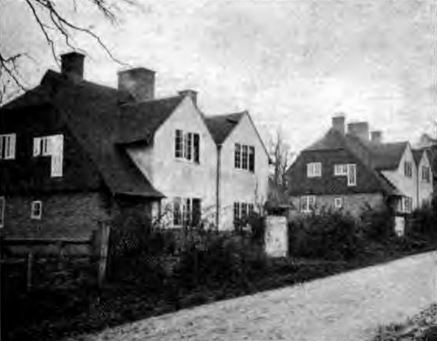 Eight cottages, designed by the Suffolk County Surveyor, were built on four acres of land at a cost of £1700. They comprised four semi-detached, two-storey houses with a single-storey extension at the rear, housing kitchen, washhouse and lavatory. The new town of Winchelsea lacks the planning aesthetic of its more familiar post-war counterparts – there was little attention paid to neighbourhood and streetscape and it suffers from an unimaginative grid-like layout. 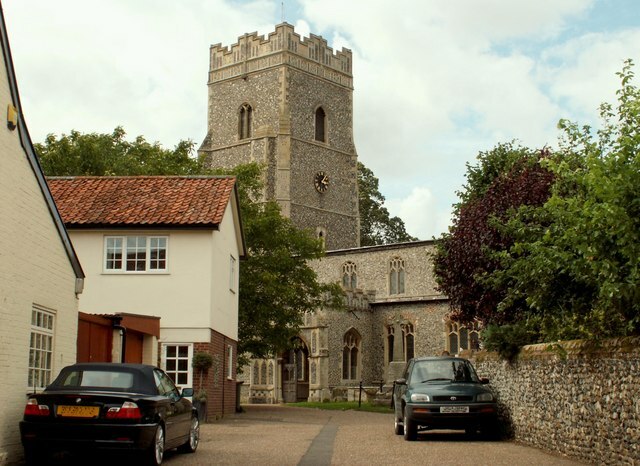 But then it was developed long before Howard and Unwin were influential and initiated not by a benevolent development corporation but a reigning monarch – Edward I, back in 1288. For all its failures of conception and design, it can’t be denied that the town has acquired a patina of age and attractiveness. Its brief prosperity as a trading port was over by the end of the 14th century and the town entered a long period of decline. 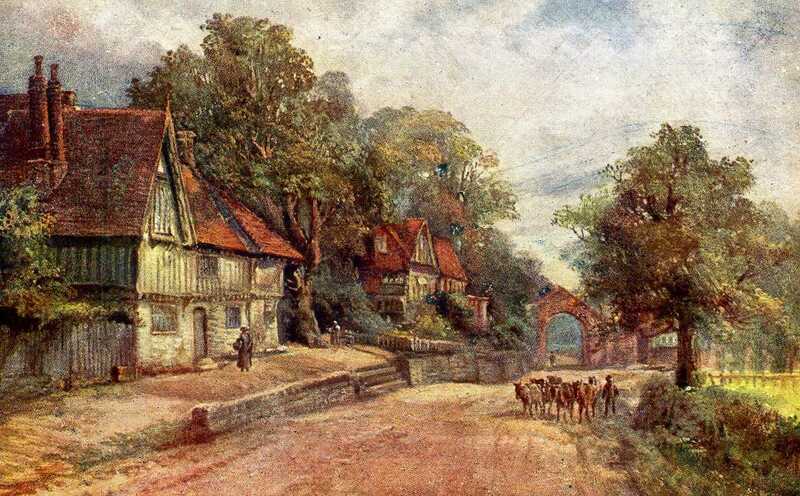 By later Victorian times, however, its ‘unspoilt’ character was attracting artists and more affluent incomers and – as local housing became more valued for its picturesque qualities than its utility – the squeeze on the town’s working class began. The struggle for affordable housing for working people was as fierce here as anywhere but ultimately some of the finest council housing in the country was built. A furore ensued in the pages of the Sussex Express, initiated by a letter from ‘A Lover of Winchelsea’ complaining of the chutzpah of this ‘sojourner…a stranger from the colonies’ who would ‘entirely efface the aspect of one of the central quarters’ of the town. Another correspondent feared (misguidedly, as the council’s plans had been dropped) the ‘common-place Corporation abominations’ which would emerge. 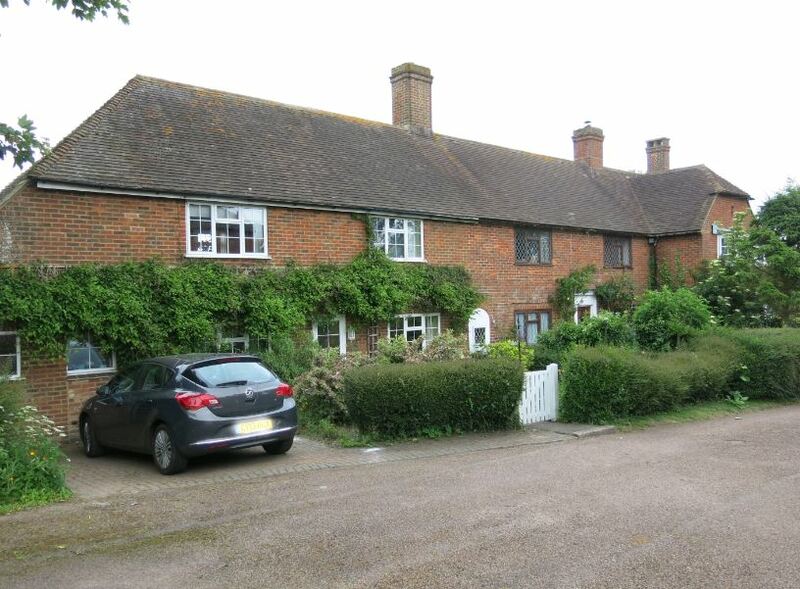 a great number of labourers cottages in Winchelsea have been bought up by London and other town owners for weekend use – or even only for letting purposes during the summer months and many poor families have been turned out and finally driven away from their homes for want of houses. 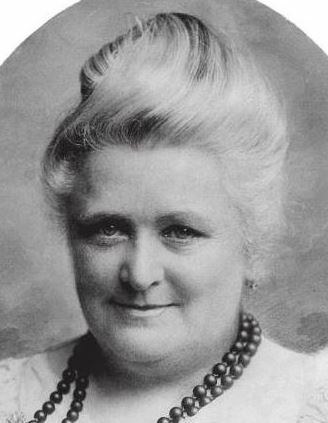 Another correspondent, reminding us that the problem of key workers finding homes is nothing new, referred to ‘three persons in public service’ in poor housing in the town, including a district nurse forced to live in and work from a single room and an assistant teacher in a ‘tiny cottage’, both ‘sharing sanitary facilities’ with neighbours. 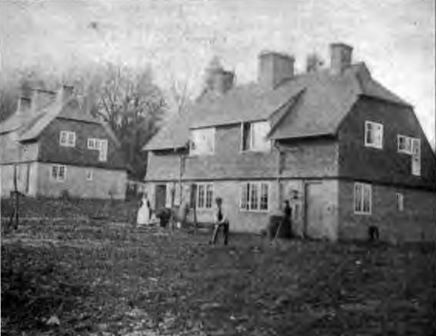 The scheme went ahead and, largely hidden by surrounding walls, seems to have left Winchelsea relatively unscathed but the demand for working-class housing remained. In 1936, a survey of Salutation Cottages on Mill Road found five families (one of twelve) living in homes unfit for human habitation. 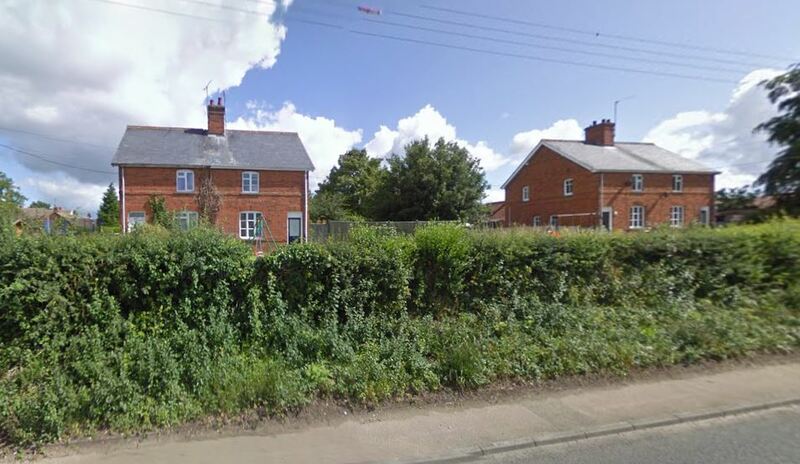 To help rehouse them, Battle Rural District Council proposed a development on Mill Field to the east of the town. 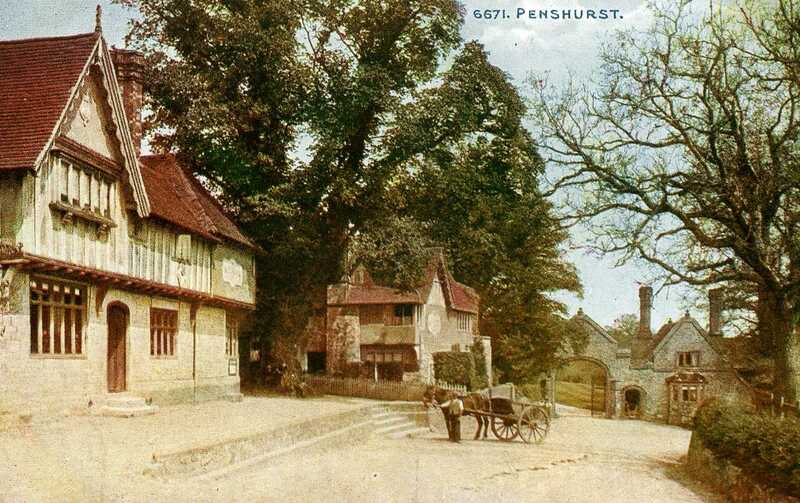 The Corporation of Winchelsea (a ceremonial hang-over of unreformed governance preserved to honour the town’s status as a Cinque Port) organised a petition of the local great and the good to oppose the scheme. 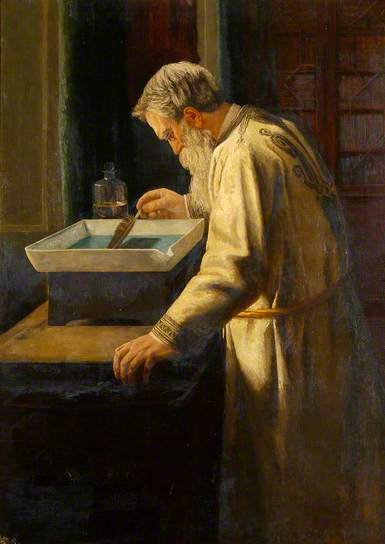 It drew a caustic response from the clerk of the Council who observed the petition did ‘not appear to be very representative of all classes as, indeed, all the signatures appear to be those of sixteen of the more cultured and leisured residents and in four cases of their wives’. I am going to voice my opinion and the opinion of the working classes, the majority of whom cannot for fear of intimidation. 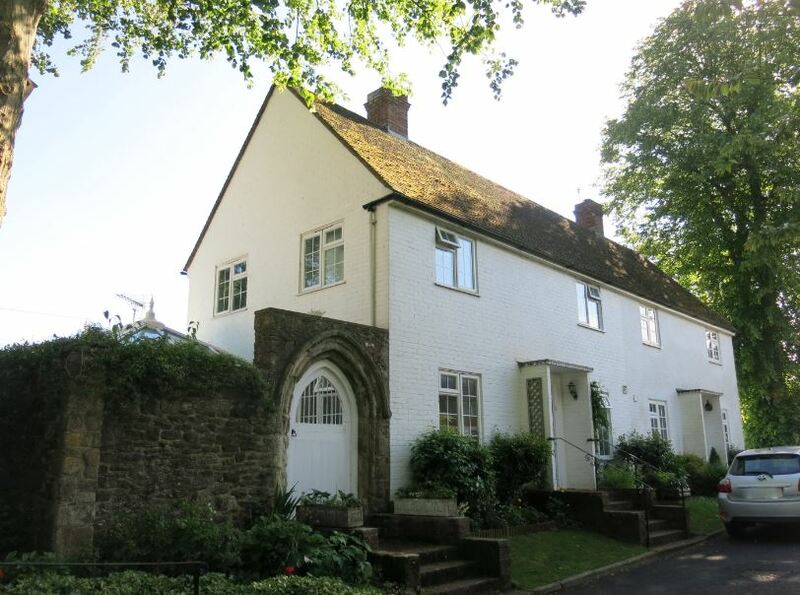 You, Mr Homan, like others, have come to Winchelsea, bought a few working men’s cottages, and tried to make them look old-fashioned inside, adding modern bathrooms and electrical devices for your comfort, and enabling you to let to others. You have stated that the working class are not wanted on the hill of Winchelsea, but if you had no-one to cook your food or do anything for you, you would experience difficulties. Yet you would deny them the right to live in decent healthy surroundings. 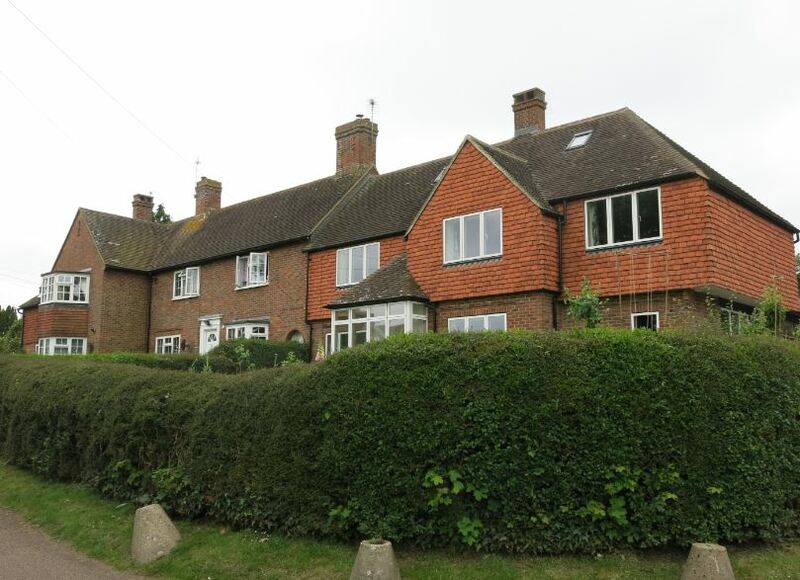 About ten years ago a determined attempt, without any justification, was made to build in Winchelsea half a dozen council houses. Fortunately for the town this evil scheme was defeated though it had the support of some inhabitants who saw a chance of getting cheap houses at the neighbourhood’s expense. A survey by Battle Rural District Council in 1946 allows us to glimpse these parasites so keen to benefit from their neighbours’ largesse: a cook, a mechanic, a farm labourer, several building workers and so on – then, as now, hard-working families whose relative poverty made necessary some support from their wider community. 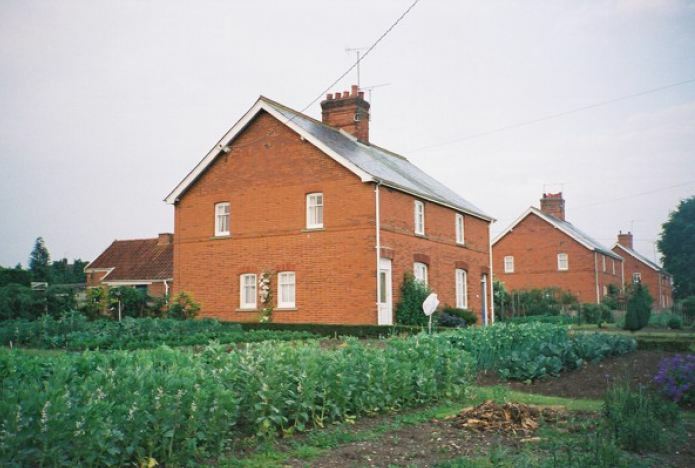 That year, the Council took out a compulsory purchase order on a little under one acre of former allotment land at the north-east corner of the town and here, at Spring Steps, it built Winchelsea’s first council housing. The four flats and four houses were occupied at the end of 1949. What luxury this new council house was, we were the first new tenants of Spring Steps. There was an upstairs toilet and a downstairs toilet, there was a proper bathroom, bedrooms with fireplaces in them. Hot water heated by a back boiler in the living room fireplace. A sitting room which was only used on high days and holidays. Our own front and back door, no shared access. A larder with slate shelves to keep things cool. The icing on the cake was our very own garden, not a back yard, a proper garden. 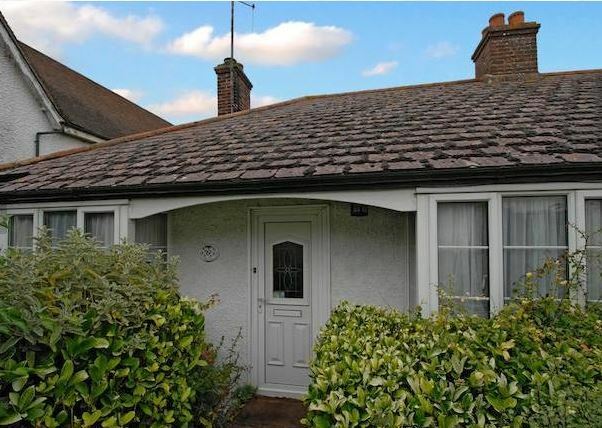 Council housing made possible for Winchelsea’s working class the kind of homes that its more affluent residents had long taken for granted. 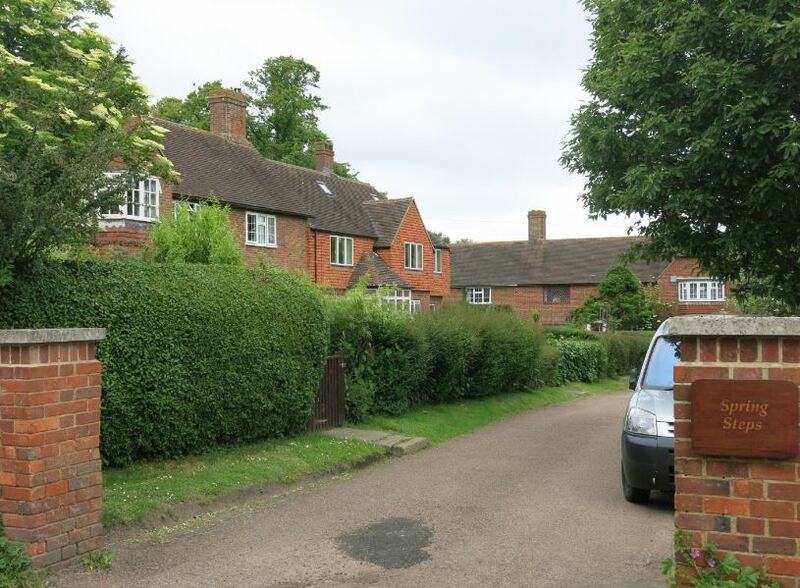 Moreover, these homes were very far from being ‘common-place Corporation abominations’. Spring Steps is perhaps one of the most attractive council estates I’ve come across. 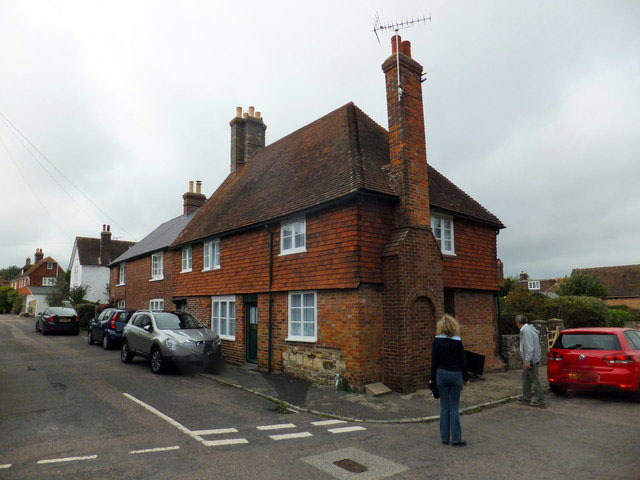 It’s a mix of rendered and red-brick, pantiled, bay-windowed and gabled homes but it was something more than an ‘in-keeping’ simulacrum of Sussex vernacular and rather a genuine contribution to the look and the life of the town. With the wind in its sails, the Council’s next development, on Trojan’s Plat at the other end of town, would be a more daring and modern addition to the townscape. 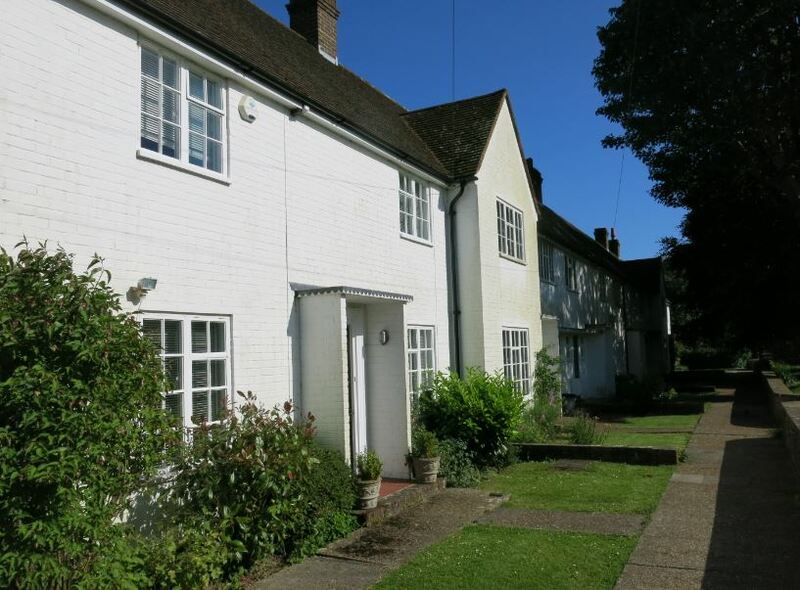 The estate comprises 12 houses of white painted brick, softened by careful placement and landscaping and by brown-tiled roofs, gable ends and porches (and by the additional stipulation that television aerials be placed on poles in the back gardens). The estate also features what must be the oldest garden gate of any council scheme in the country. At the end of the Back Lane terrace you can see the arched entrance which formerly led to a medieval building known as Trojan’s or Jew’s Hall. New domestic architecture has become almost classless. The old stigma of what we called ‘council housing’ has disappeared. introduce in our modern villages and towns what was always the lovely feature of English and Welsh villages, where the doctor, the grocer, the butcher and the…labourer all lived in the same street. I believe that is essential for the full life of a citizen…to see the living tapestry of a mixed community. Mr Homan had been vanquished – temporarily at least. 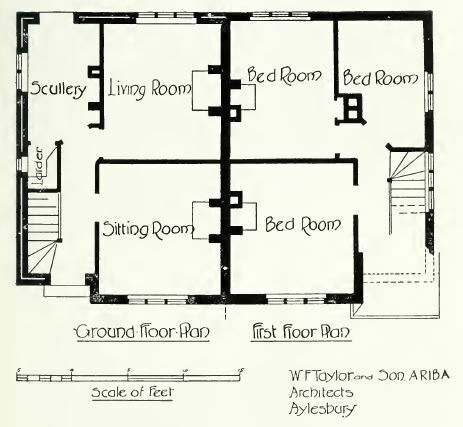 In the present, however, Right to Buy has wreaked its havoc and at least three of the four Spring Steps’ houses and one of the flats are privately owned and – irony of ironies – one of the Trojan’s Plats houses is a holiday let. 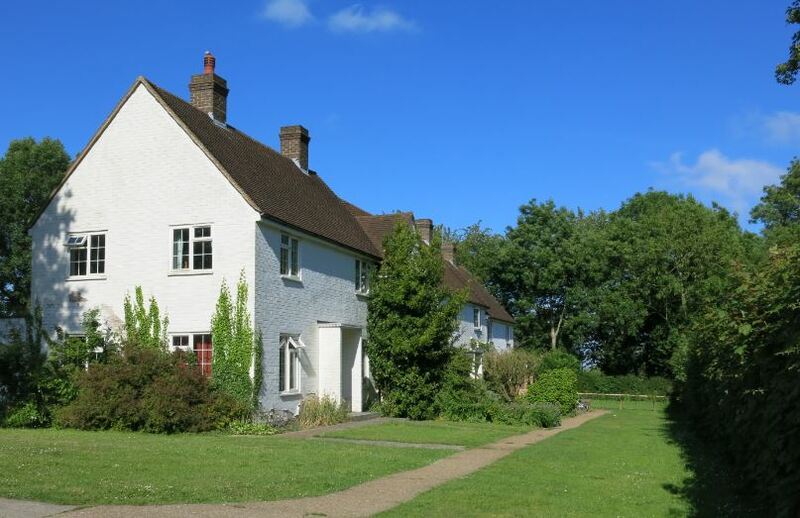 (6) No doubt, homes in Winchelsea – as in many other attractive rural locations – are as beyond the reach of many of the locals now as they were back in the interwar period but we have gone backwards in our present rejection of council housing, the most cost-effective remedy to this problem. 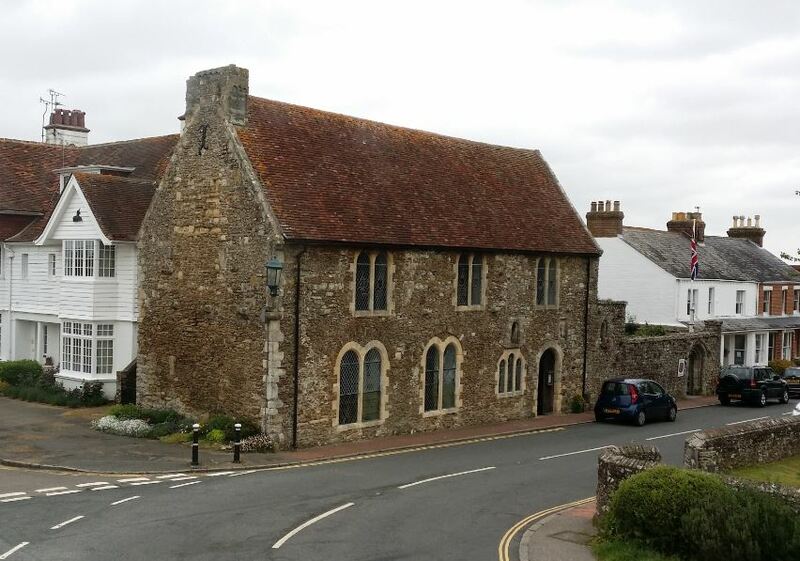 For all my tongue in cheek opening, Winchelsea is a beautiful village (an ‘Antient Town’ only by reason of its early incorporation and long history) and well worth a visit. 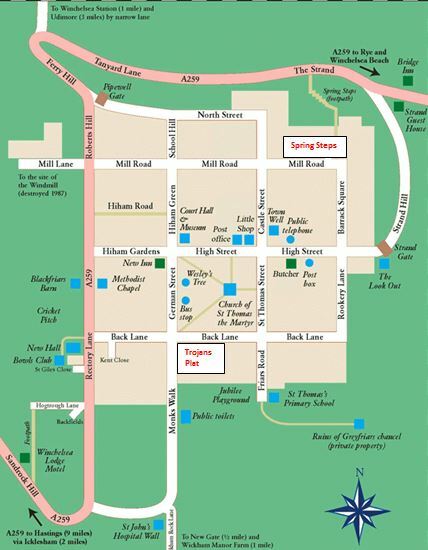 If you go to sight-see, enjoy it but don’t neglect the two more modern additions shown in the amended map – you’ll understand their historic significance and appreciate their architecture too. They remind us both of the need (then as now) for genuinely affordable and good quality housing for ordinary people and the heights to which council housing has reached in fulfilment of that need. (1) Malcolm Pratt, Winchelsea, a Port of Stranded Pride (1998). Other details and quotations, unless otherwise attributed, come from the same source. I’m grateful to Mr Pratt for providing a local history which provides full information on this usually neglected topic. (2) The reference to ‘Corporation homes’ is from the Sussex Express, 15 January 1922, Ms Rawlinson’s letter and the quotations which follow from the edition of 8 January 1926. (6) The details of the holiday let are useful for demonstrating the quality of the accommodation.